Accra, Jan. 6, GNA - Interpol has retrieved two cars stolen from Ghana in two West African countries. The cars, a Peugeuot 306 belonging to the State Transport Company, was retrieved from Burkina Faso while a VW Bora saloon car was retrieved from Victoria Island in Nigeria. 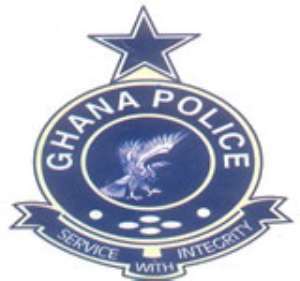 Assistant Commissioner of Police Prosper Agblor, who is Head of Interpol Accra, told the Ghana News Agency that Isshaku Shaibu, 60, who was working with STC, took the car to Burkina Faso but could not find a buyer before Police caught up with him. In the second instance Ms Grace Mensah, a Ghanaian resident in London, bought and furnished a house at Airport Residential area and asked one Kwabena Sarfo, also known as Sympathy, to be the caretaker. Mr Agblor said Sarfo then sold all the furniture and the home appliances and rented the house out to a Diplomat. He said in June last year Sarfo took the brand new VW Bora saloon car with registration number GT 359 U and chassis number Wvw22ijziw541404 through Aflao to Victoria Island, Lagos, and sold it to a Nigerian legal practitioner for 10,000 dollars. The sale was done through an intermediary known only as Sony. Mr Agblor said during investigations Interpol got wind that the car had been located in Lagos. Interpol Accra, through collaboration with Police in Nigeria, then retrieved the car.